Let me just say, this movie was so funny! I already heard about how funny it was but despite knowing that, it still made me LAUGH OUT LOUD. I’ve loved Paul Rudd ever since the “FRIENDS” era and I love him even more now after this. 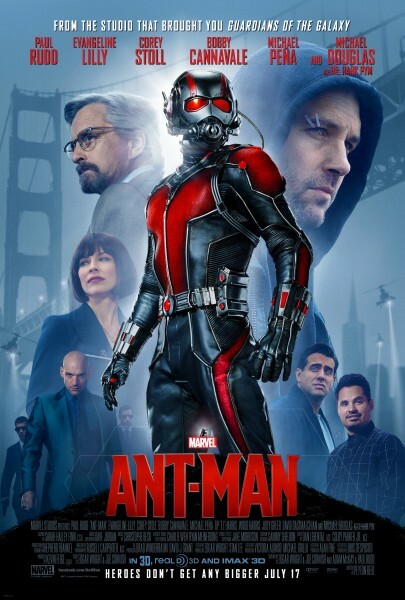 ANT-MAN has gone up my FAVORITES list of Marvel movies. I don’t even want to talk about the plot right now. JUST GO WATCH IT! It has a bit of everything in it: ACTION, DRAMA, COMEDY, ADVENTURE, ROMANCE, etc. Although I have to say the romance part is a bit too forced, like it just had to happen so, alright, let’s bring them together. Other than that, I loved this movie. The supporting characters’ lines and comments were also hilarious. I think that’s what made this movie shine for me. I liked the script because it had that light comedic side to it that when coupled with action-packed stunts, made for a wonderful movie. Also, normally when it comes to ad placements on movies, I cringe from the sight of them. In this movie, however, I didn’t mind them actually and it even played on the fun side of the film. OOOH and Anna Akana was in the movie for a bit towards the end. That was awesome! You know I love Anna Akana… I wonder is this why she stopped saying “Gotham” in her videos? Because it’s DC? Hmmm..
[BOOK] The Geography of You and Me. This is the second book I’ve read of Jennifer E. Smith. The first one that I read was The Statistical Probability of Love at First Sight. I also posted about it so if you want to read what I thought about it, it’s right here. When I read The Statistical Probability of Love at First Sight, I liked its simplicity without the over-the-top drama. It was a straightforward love story and I think that’s a common theme with Jennifer E. Smith’s books. I haven’t read her other works though so I might be wrong. 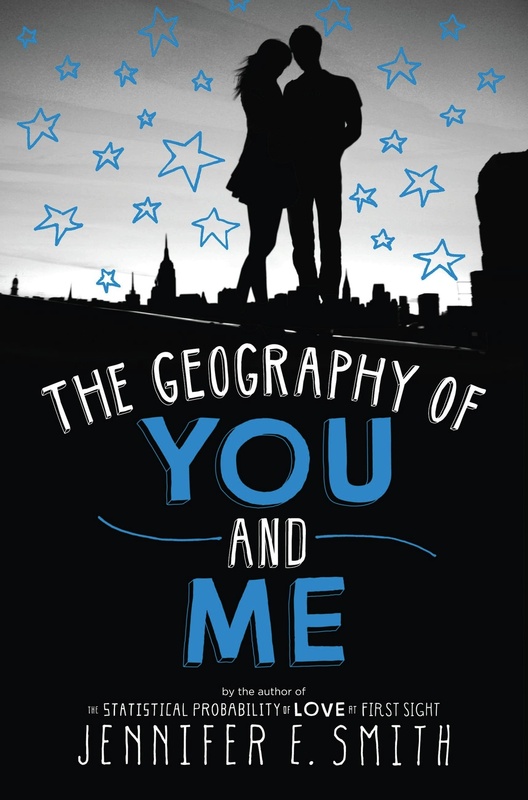 Just like TSPOLAFS, The Geography of You and Me had a predictable storyline which is forgiven for its light-reading purposes. I deliberately chose this book because I knew I needed a light-read which does not have too much drama and is not heavy on the heart. So if that’s what you’re looking for, read this. I was taken by surprise though at the sudden ending which left me wanting a little bit more. This is probably one of the things I do not like about reading it as an ebook. With a physical copy, you know how many more pages you have left and subconsciously it affects how you prepare yourself for the ending. This ended just like that without a warning and I was left hanging. 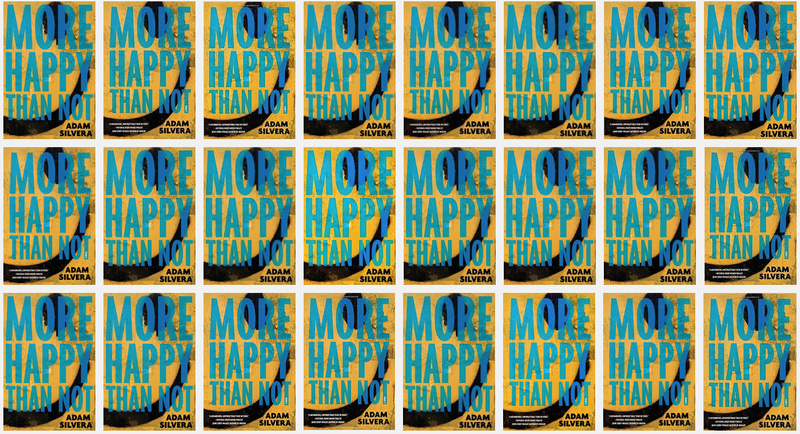 Ugh..
[TAGGED] MORE HAPPY THAN NOT BOOK TAG. I’m not exactly sure how this goes as this is the first time I’ve been tagged. Thank you, rosemawrites of A Reading Writer for the TAG. =) Check out the post here. Sounds pretty interesting. I have already added it onto my TBR list (which is already piling up, by the way). I hope I get to read more books during this coming holiday. I’m gonna have to sneak in a bit of reading time while I finish my Newsletter layout for work. I’m both dreading and looking forward to the holiday later this week. I’m More Happy Than Not… when I am READING GOOD BOOKS. I’m More Happy Than Not… when I SEE BEAUTIFUL SCENERIES AND VIEWS (Mother Nature, you are the best). I’m More Happy Than Not… when a BABY LAUGHS and SMILES AT ME (such a heartwarming feeling). I’m More Happy Than Not… when I SEE MY PHONE BATTERY STILL AT 50% at the end of the day. I’m More Happy Than Not… when I RECEIVE MY PACKAGES AFTER A LONG WAIT. I’m More Happy Than Not… when a RANDOM PERSON GREETS ME. I’m More Happy Than Not… when I am SPENDING TIME WITH FAMILY and FRIENDS. I’m More Happy Than Not… when I am LISTENING TO MUSIC WHILE IT’S RAINING OUTSIDE (oh yes). I’m More Happy Than Not… when I ACHIEVE/GET SOMETHING I’VE BEEN LONGING FOR. I’m More Happy Than Not… EVERYTIME I’M REMINDED HOW BLESSED I AM. I was able to finish the book I’ve been reading for the past month or so, finally! It was not a long book but for some reason, it takes me forever to finish books by David Nicholls but I get through it and that’s what’s important. Anyway, so the premise of “Us” is about Douglas who is trying to use their Europe family trip to mend things with his family to try to keep them together. The family trip was supposed to be a fun vacation to celebrate their son’s upcoming adventure to embark on the university life. Sadly, shortly before their planned trip, Connie, Douglas’ wife, informs him that she “thinks” she wants to leave him. Shocked by this turn of events, Douglas decides that he would make use of the trip to bond with his family in hopes of gluing them all together. Without spoiling anything, I would just like to say that I do understand Douglas’ point of view. He’s a practical, by-the-book type of guy who does not like to bend rules. Most of the time, I am the same so I completely get how it is difficult for him to understand how his wife’s and son’s minds work. Unlike Douglas, Connie and their son, Albie, are more creative and are artists by heart. They like to do things the way they see it even if it sometimes does not seem conventional. They are more adventurous and spontaneous unlike Douglas who likes everything planned. This is where the friction deepens among them especially with how Douglas is handling their Europe trip where everything is planned by the minute without much room for flexibility. This is where I cease being similar to Douglas. Despite being a person who likes to follow rules, I am also quite flexible. I always think that there is a way, we just have to find it. I would say I’m a mix of both Douglas and Connie, the best of both worlds. hahaha… What I’m trying to say is I get the points of view of them both and it is rather unfortunate that they fail to see from each other’s perspective. It hurts to see that you know they could make their marriage work but unfortunately, there are things that they can’t change because it’s who they are. Compared to One Day, I feel like I liked this book more. I could feel Douglas’ struggle to keep his family together but failing miserably at it. It’s heartbreaking but there’s a certain sweetness to it that I can’t explain. Douglas is still likeable despite his shortcomings. In “One Day,” however, I remember feeling contempt towards Dexter’s character because he was being such a jerk. Also, although both books took me awhile to finish, I feel like “Us” got my interest more than One Day did from the beginning. In both cases, things started to pick up halfway through the book and for me that seemed a bit too slow. I guess I’m more used to more fast paced books. All in all though, I did enjoy both of them despite a slow start. They both ended in a great note (no matter how happy or sad that may be). Interesting! I would definitely check some of these books out. 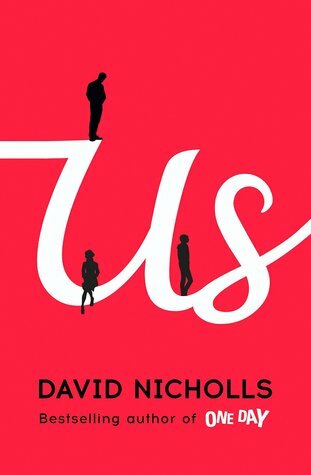 I’m currently reading “Us” by David Nicholls and it’s taking me longer than anticipated to finish. Once I’m done with that, I might try one of these. Those of us who absolutely must have something to read at all times are always on the hunt for quick reads for short trips and long waits. This infographic, created by Ebook Friendly, suggests 24 choices for 1 hour reads. Some are familiar literary classics by iconic authors, but many are lesser known nshort novels, novellas and short stories. 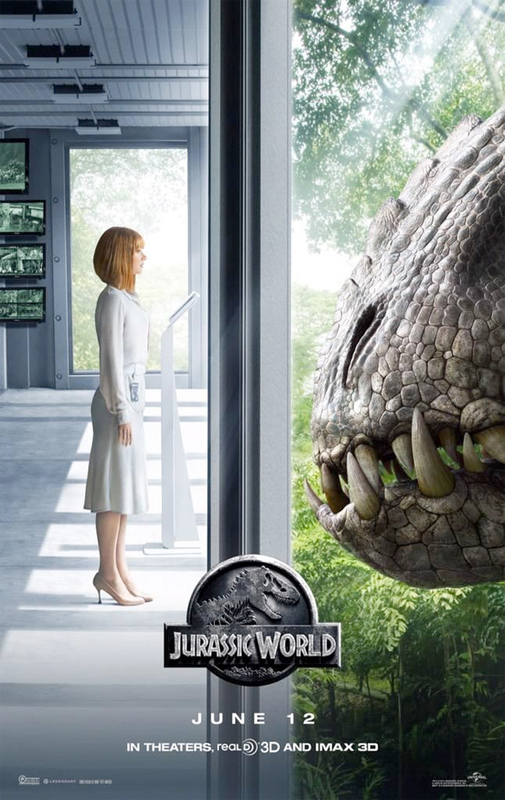 “Jurassic World” takes place 20+ years after the original Jurassic Park met its demise. Now, fully functional again, the Jurassic World management needs a new attraction to entice more visitors to come. The scientists responsible for bringing back the dinosaurs from extinction have found another breakthrough in creating a new breed of dinosaur by mixing different species in one. This, they expect, would be scarier than ever before. Why are they always right? Darn it. Just like the previous Jurassic Park movies, the formula remains to be the same. “Here’s the amazing park, here are the awesome dinosaurs, here’s one badass dinosaur that runs amok, we need to find a way to stop it, FOUND A WAY, dinosaur is terminated, the end, but wait there’s more, here’s a little information on what could possibly be a good conflict for the next installment, THE END.” No surprise there. The dinosaurs looked realistic and so did the setting. It never ceases to amaze me just how beautiful and flawless the movies nowadays are and it’s all thanks to the technological advancements this generation is experiencing. It looked literally like one of those videos of Disney Theme Parks showcasing the wonderful rides and attractions. Had I not known that Jurassic World does not actually exist, I would’ve ordered a ticket right then and there. (Or maybe it does exist.. hmmm). The visual effects were outstanding and I don’t think I can ask for anything more. Jurassic World was an entertaining movie. The dinosaurs were shown like giraffes, lions, elephants and all those other animals you would normally see at a zoo. It would’ve been more amazing had it taken a moment to showcase just how wonderful looking the creatures were. They looked mighty realistic after all. Oh and I pity the assistant, Zara. She had the worst death of all. RIP Zara. [BOOK] The Devil in the White City. [BOOK] A Tale For The Time Being.